THE BRIERLEY IS CLOSED ON MONDAY, TUESDAY & SUNDAY EVENINGS. 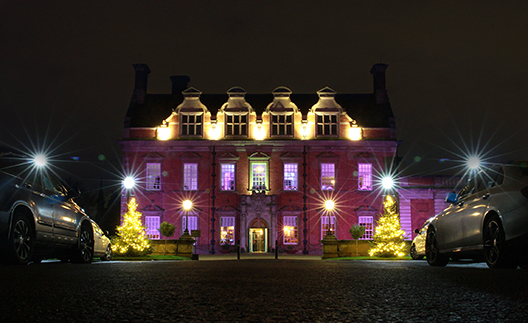 The Brierley offers a unique dining experience within the beautiful Acklam Hall, Middlesbrough's only Grade I listed building. 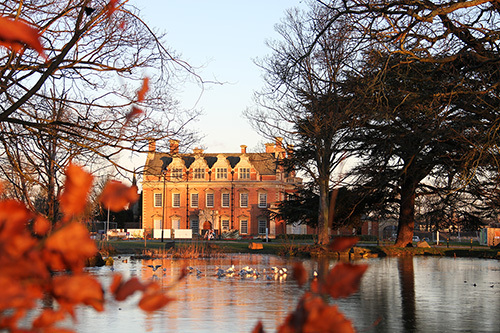 The Brierley is named after York architect Walter Brierley, one of the finest architects of the early twentieth century who was appointed by the Hustler family in 1910 to undertake alterations to Acklam Hall. Home to The Salon and The Dining Room, two beautiful and unique rooms providing the perfect setting to indulge and enjoy. We attended the seafood supper on Good Friday. The food was amazing and decided to take up the offer of paired wines. The wines complemented the food perfectly. I’m not a huge fan of white wine usually but I would try all of those served again. I hope you do a similar night again. This was a celebration of life for us. Nice venue although prices high for room hire. The management could have been more accommodating. Booked afternoon tea for 6 to celebrate a friends birthday. The food was excellent and we were able to make small changes to the set tea. The young lady serving our table was very pleasant and helpful. She kept us topped up with tea and coffee. We did not feel rushed. We all enjoyed our afternoon thank you. Love Acklam Hall & the dinners are fantastic but in my opinion the afternoon tea is not worth the money. Sandwiches & scones were bland. Cakes didn’t seem much better. Very disappointing as was a birthday treat. There is always a lovely atmosphere every time I visit. Staff are friendly and the food is fab! Our seating was very cramped, which made us quite uncomfortable. As usual, excellent food, excellent wine, excellent atmosphere. Our favourite place for dining out. Been several time for Sunday lunch and so happy to finally be given a gluten free Yorkshire pudding! I’ve never particularly minded not having one (it’s the usual everywhere) but offering one is just that extra that means it’ll be the only place I go for Sunday lunch from now on! Great service in lovely surroundings. A good menu for Sunday lunch. Maitre d' and waiters attentive and served well. Great eating experience. Lovely afternoon tea really impressed would definitely come back again. Always enjoy eating at The Brierley.Love the dining room,nice atmosphere & great service.A very nice wine list as well.One down point,had halibut for the main,& although the dish was very well presented,the fish was a little over cooked!Otherwise,enjoyed our lunch. Thankyou soooo much for a wonderful afternoon tea. As someone who has coeliac disease I was hesitant as to what gluten free options I was to be provided. You exceeded my expectations and I will definitely be recommending and coming again. 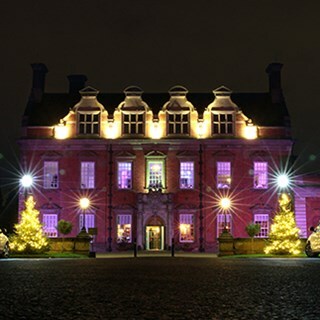 This is my fourth visit to Acklam Hall and I am still impressed by the food, service and surroundings. Thank you so much for the high quality and wonderful service you provided as we gathered to celebrate the life of a relative after his funeral. The atmosphere was perfect and calm, and the room we used, The Parlour" was just right. 2 ladies who were serving us at 1015 booking on 09.04.19 were brilliant, I didn't get their name, both very friendly. I ordered a glass of champagne to go with my girlfriend's breakfast the waitress asked if t was a special occasion to which my girlfriend shared that it was her birthday. We didn't think or expect anything more of it until we finished our meal and were asking for the bill. The second lady carried through a cake, with a candle and the words "Happy Birthday" written in chocolate sauce on the plate. Thus was the first time either of us have been and it will not be the last. Staff were great and the afternoon tea was lovely!